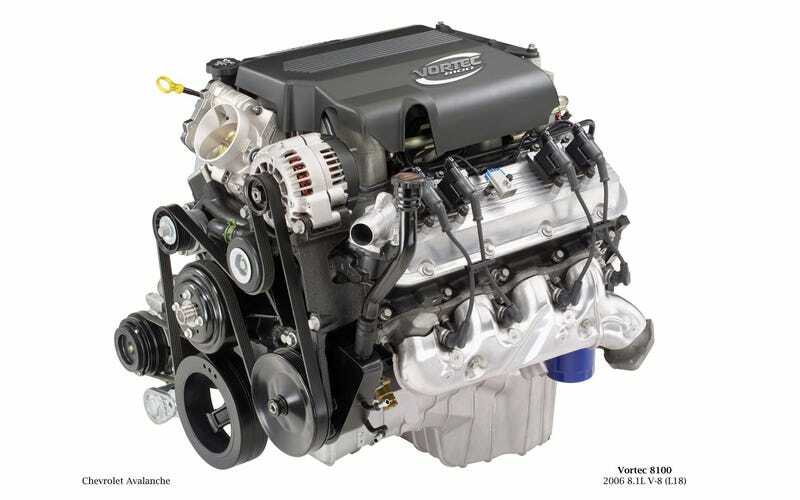 8.1 liters, 496 Cubic Inches, iron block pushrod Big Block. Basically a stroked 454 big block. 340hp and 455 lbs-ft doesn’t really sound all that impressive today, but the torque curve is flat as a salt pan and it doesn’t rev out enough to make big peak numbers. Here is also a comparison between the 4L60 and the 4l80 trans. You can see why the 80 is so much more durable than the trouble-prone 60.